Our friendly car loan experts are ready to work with you! At Swan Lake Motors, our goal is to send you home in a brand new truck with as little fuss and muss as possible. Good credit, bad credit or middle-of-the-road credit, it doesn't matter! 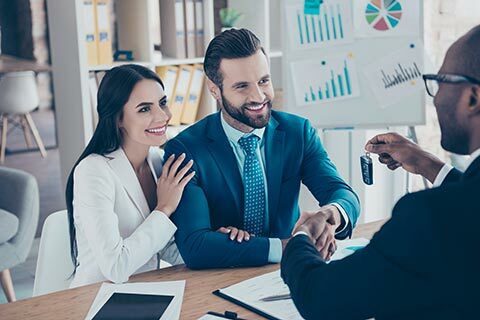 We offer several different financing options, many of which were designed to help customers facing their own unique credit challenges. When you come to us, you don't have to worry about being turned away just because you defaulted on a credit card payment two years ago -we understand that financial problems happen, but that doesn't mean you shouldn't be given a second chance! Our finance options can help you reestablish your credit while making you the proud owner of a great truck at the same time!